"I named one wasp Sathon oreo as the antennae are dark brown with a thick white stripe in the middle… like an Oreo chocolate biscuit," says Dr. Erinn Fagan-Jeffries from the University of Adelaide's School of Biological Sciences. "Zygon aliens consume their host whilst inhabiting them, a trait particularly relevant to parasitic wasps," says Dr. Fagan-Jeffries. Inspirational taxonomists and entomologists that helped Dr. Fagan-Jeffries collect vital specimens for this research, as well as those who feature prominently throughout her career, were also honoured with species named after them. "I always loved insects in school, and I had a lot of incredible support from entomologists, back then and also during my Ph.D., who fuelled my passion for following a scientific career path," Dr. Fagan-Jeffries says. "Naming species after those people is just a tiny way of saying thank you." 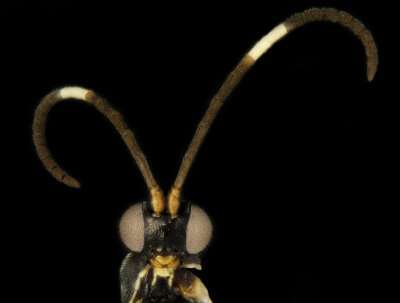 The 10 new species of parasitic wasp have been published open access in Zootaxa, and the study was supported by the Australian Biological Resources Study and Bush Blitz.